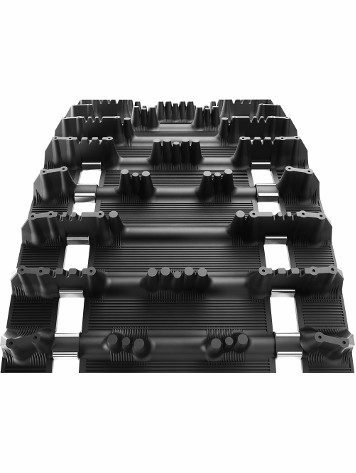 When shopping for your replacement snowmobile track you’ll notice there are several types of snowmobile tracks to choose from. These types include snowmobile tracks designed for trail, on – off trail (also known as crossover), mountain, utility and racing. In addition there are studded and pre-drilled snowmobile tracks. Its important that you choose the snowmobile track type that matches the conditions you ride in most and your riding style. By matching the snowmobile track type to the conditions you ride in and your riding style, you’ll end up having a more enjoyable ride. What types of snowmobile tracks are there? Trail Tracks – Trail snowmobile tracks are designed for riders who spend most of their time on groomed snowmobile trails or un-groomed packed trails. 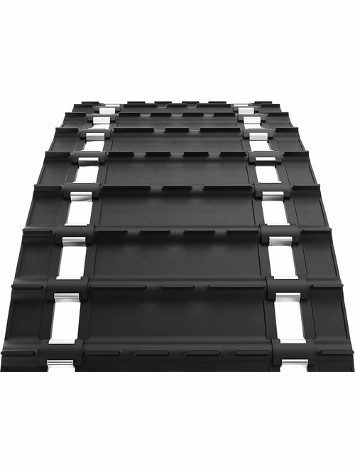 These tracks can be further segmented into those designed as a general purpose track, tracks that provide extra traction in hard packed and/or icy conditions and hi performance tracks. Learn more about trail snowmobile tracks. On – Off Trail Tracks – Also known as crossover tracks, on – off trail snowmobile tracks are designed for riders who spend time on as well as off trail. This provide the rider with versatile performance. Learn more about on – off trail snowmobile tracks. Mountain Tracks – Mountain snowmobile tracks come in longer track lengths and taller lug – tread height. 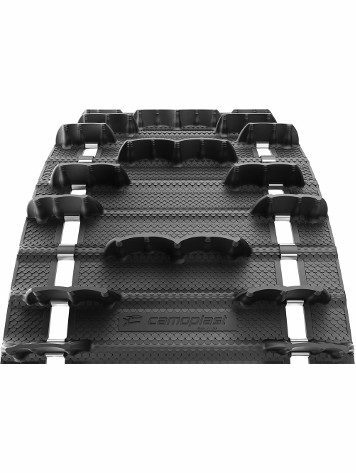 The longer track lengths provide extra flotation for mountainous terrain and steep slopes. In addition the taller lug – tread height provides greater traction in deep powder. Learn more about mountain snowmobile tracks. 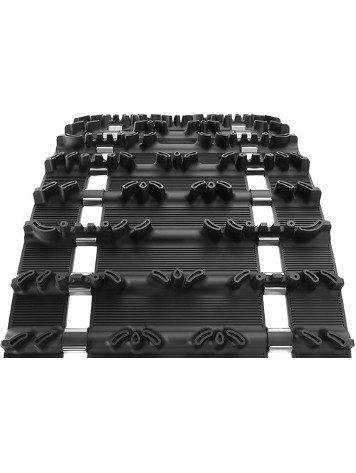 Utility Tracks – Utility snowmobile tracks are designed specifically for utility snowmobiles and provide the needed traction and efficiency that allows these sleds to perform their best. Learn more about utility snowmobile tracks. 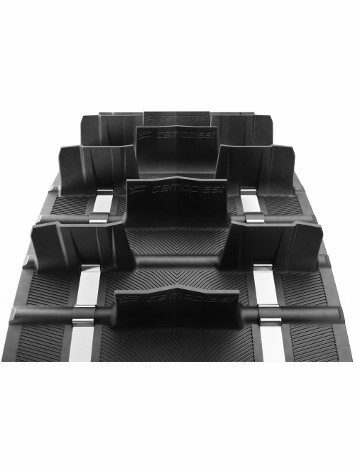 Racing Tracks – Snowmobile racing tracks are designed either for hillclimbs, snocross, oval, and ice/grass drag racing. Learn more about racing snowmobile tracks.